Stress is at the heart of many health conditions. When the body is stressed, your capacity to adapt is reduced, which can wreak havoc on the immune, nervous and inflammatory pathways. Optimizing adrenal gland function is essential to combating stress. 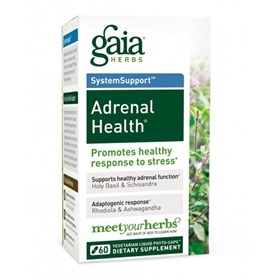 Adrenal Health provides nourishment to the adrenals, enabling the body to adapt to stress in a healthy way.